Universal davit can be mounted at base of DeckHand or in remote position on boat deck. Remote accessory (sold separately) allows for 25' corded remote operation. Runs on 12-volt battery (not included). 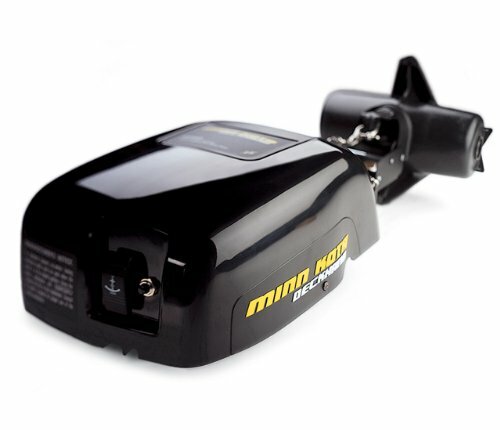 Minn Kota anchoring products are designed to give you the most convenience and performance in a task that is often tedious, messy and unpredictable. The DeckHand automatically raises or lowers your anchor at the touch of a button-with no messy, in-the-way rope piles. CrabClaw anchors provide sure-footed performance to give you the boat stability you need in almost any conditions. Minn Kota Deckhand 40 1810140. 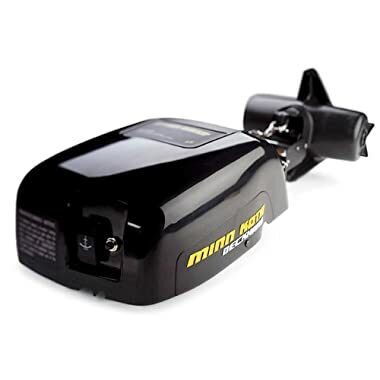 Minn Kota Deckhand 40 Motor 1810140. Minn Kota anchoring products are designed to give you the most convenience and performance in a task that is often tedious, messy and unpredictable. The DeckHand automatically raises or lowers your anchor at the touch of a button-with no messy, in-the-way rope piles. CrabClaw anchors provide sure-footed performance to give you the boat stability you need in almost any conditions. The Deckhand 40 can support an anchor from 20-40lbs and is pre-spooled with 100 feet of 800lb test rope. Universal davit can be mounted at base of DeckHand or in remote position on boat deck and stows the anchor horizontally to eliminate anchor swing. While we aim to supply accurate product information, it is sourced by manufacturers, suppliers and marketplace sellers, and has not been provided by Overstock.